Asbestos is found in thousands of common products – from automotive brakes to artificial snow, from cigarette filters to floor tiles. The physical properties that make asbestos such a versatile and useful material, though, make asbestos hazardous to public health. The mere presence of asbestos containing materials (ACM) is NOT hazardous. Asbestos IS a concern, however, when its miniscule fibers enter the air. When asbestos fibers enter the air, they become suspended. 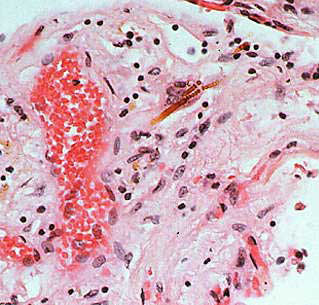 As humans breathe air contaminated with asbestos fibers, the fibers can become lodged in the lungs. The body cannot process these fibers, and over time, they cause damage to organ tissues and disease. Furthermore, asbestos fibers are not visible to the naked eye. They are visible only with a powerful microscope, so detection in the environment is nearly impossible, and irreparable damage to the body can occur before a risk is even identified. Different forms of asbestos containing materials have different levels of risk. NON-FRIABLE asbestos is bonded and stable. In this form of asbestos, fibers are generally unlikely to infiltrate the air. 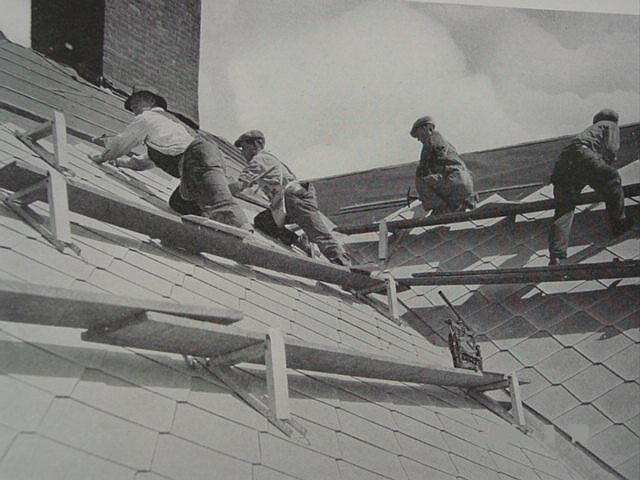 Non-friable asbestos poses few risks unless it is disturbed by activities such as sanding and sawing. Floor tiles and ceiling tiles are examples of non-friable asbestos. 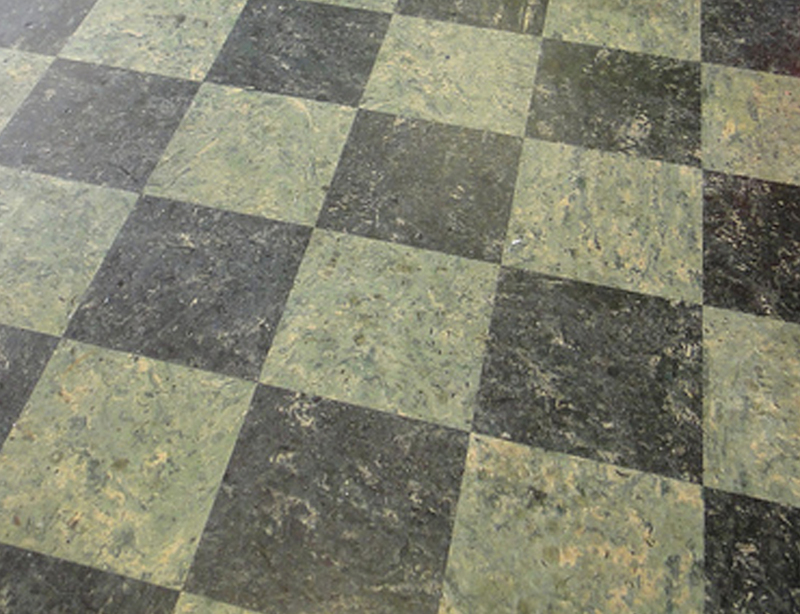 This floor tile contains asbestos, but because the asbestos fibers are bonded and stable, they are non-friable and do not pose a threat to public health unless the materials are disturbed. Management-in-place is the best way to handle non-friable asbestos that is in stable condition. However, some asbestos materials – such as degraded insulation and degraded fireproofing – are FRIABLE. Fibers in this state are unstable and can often be crushed or reduced to powder form with hand pressure. 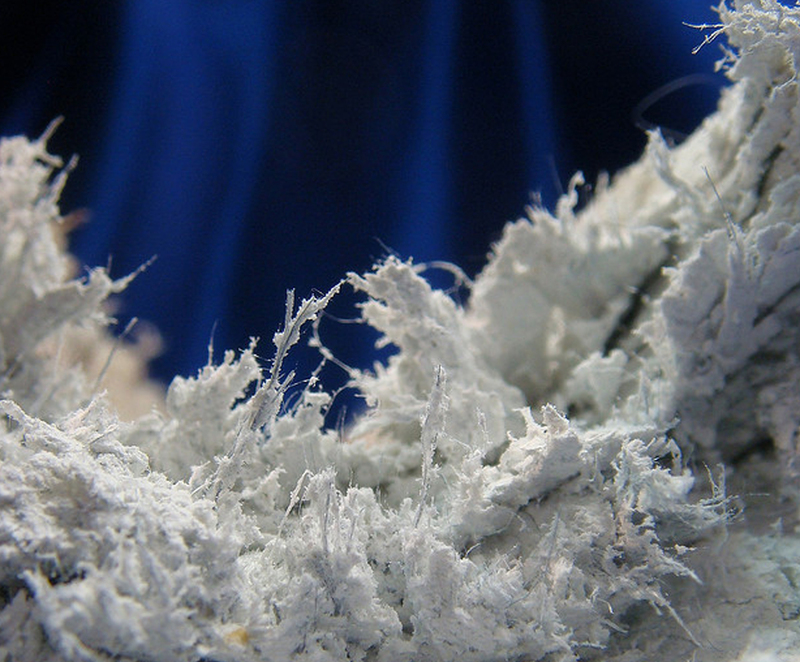 Friable asbestos fibers can easily become suspended in the air, where they create health concerns. Even non-friable ACM may be damaged by aggressive activities such as sawing and sanding and thus become friable. The asbestos fibers in this insulation are unbonded and unstable. Therefore, they are friable and more likely to enter the air, where they can pose serious health risks. There is no known “safe” level of exposure to asbestos fibers. The risk from even minimal asbestos fiber contact has not been quantified. Workers in the aviation, automotive, construction, electrical, plumbing and cable installation industries have a more pronounced risk of exposure. Military personnel are also at risk of contact. Individuals with careers in the construction industry are among those at high risk for asbestos exposure. The Occupational Safety and Health Administration (OSHA) and the Environmental Protection Agency (EPA) have conducted extensive research on the effects of asbestos exposure. Exposure to asbestos fibers can exacerbate respiratory concerns such as asthma and emphysema, and exposure can lead to the development of many detrimental, irreversible and chronic health issues. Symptoms of these diseases often appear many years following initial contact. Patients with mesothelioma, for instance, do not present symptoms until as many as 50 years after initial exposure. Conditions such as pleural plaques may be asymptomatic, while other conditions present a variety of signs such as shortness of breath, a persistent cough and decreased appetite. 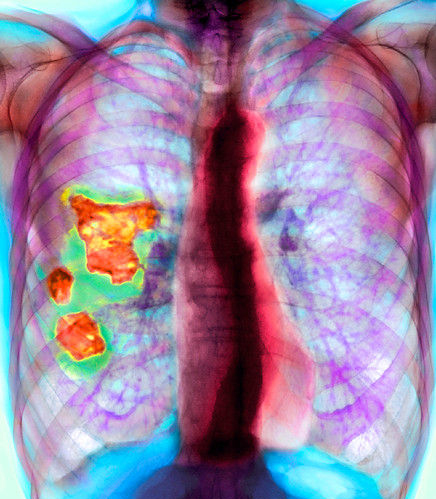 Asbestos related diseases are diagnosed through physical exams including chest scans and pulmonary function tests. Depending on the severity of the disease, treatments include symptom relief, oxygen therapy, tobacco cessation, surgery and chemotherapy. Patients with some forms of asbestos related diseases experience slow progression of their conditions, while over three-quarters of individuals with Mesothelioma succumb to the disease within one year of diagnosis.